Wear has major impacts on economic efficiency or health. All movable parts are affected, examples being the bearing of a wind power plant or an artificial hip joint. However, the exact cause of wear is still unclear. 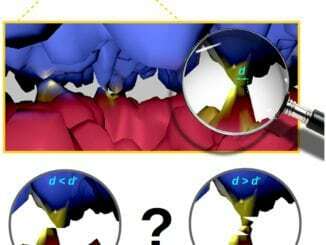 Scientists of Karlsruhe Institute of Technology (KIT) recently proved that the effect occurs at the first contact already and always takes place at the same point of the material. Their findings help develop optimized materials and reduce consumption of energy and raw materials. The researchers present results of two studies in the Scripta Materialia (153 (2018), 63 – 67 and 114 – 117). In addition to the effect mentioned, scientists used copper samples to study the effect of friction on oxidation of surfaces. After a few friction cycles, copper oxide spots formed on the surface. In the course of time, they grew to semi-circular nanocrystalline copper oxide clusters. 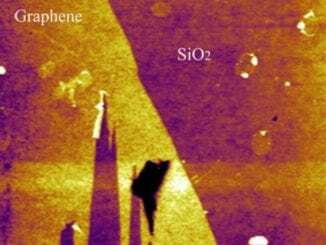 The copper-2-oxide nanocrystals of 3 – 5 nm in size were surrounded by an amorphous structure. They increasingly grew into the material until they overlapped and formed a closed oxide layer. According to Greiner, this phenomenon has been known for a long time, but the cause of this effect is still unknown. “It is very important to understand how friction-caused oxidation takes place. In materials science, copper is used rather frequently. And copper also is an important material for movable parts,” Greiner says. Many bearings consist of copper alloys, such as bronze or brass. Consequently, the study results are of considerable interest to copper processing industries.